Need a way to use ground venison? 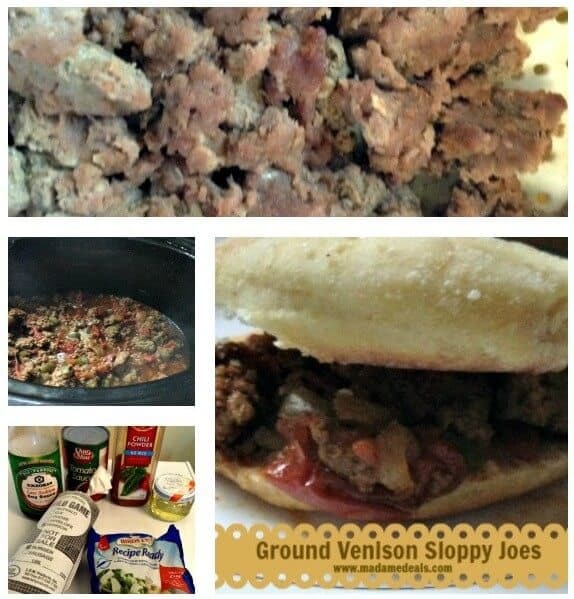 This ground venison sloppy joe recipe does not use a seasoning mix! Sloppy Joes are a great way to use ground venison due to the acidic tomato base. The Real Deals FREE Birdseye Recipe Ready vegetables that were already chopped and frozen made this simple recipe even easier! This makes the recipe an easy one to allow a child helper to dump the ingredients in a crock pot. (For other crock pot recipes a child may help with see Cooking With Kids- How to 5.) This recipe is gluten free and can be served on gluten free buns for a safe meal for celiacs or gluten sensitive individuals. See the post about Cooking venison tips. 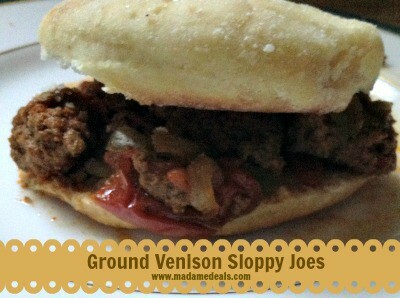 Serve ground venison Sloppy Joes on Jiffy Sandwich buns. Get a crock pot for your Ground Venison Sloppy Joes at Amazon. Ground venison is excellent in chili, spaghetti, or pour in a pan pizza!